Sometimes do you feel like giving up for no reason at all? You wake up in the morning all confused, gloomy and start questioning your purpose here on earth? I know I do sometimes. It used to be a frequent thoughts for me but no more. The thoughts only comes when I’m trying to achieve something but its not going well, which of course is normal. What comes after that are just negative negative thoughts. You start to feel depressed, frustrated and discouraged!! And we all know these emotions are and can be dangerous. If you’re or find yourself in this situation sometimes, the word of God and keeping busy are your answers. The word of God will enlighten you and keeping busy will take your mind off those feelings. Personally I recommend reading Joyce Meyer’s books or listening to her sermons. Every time I listen to her, I feel like she’s speaking to me. Mrs Meyer has been through it all, so you know she knows what she’s preaching about. 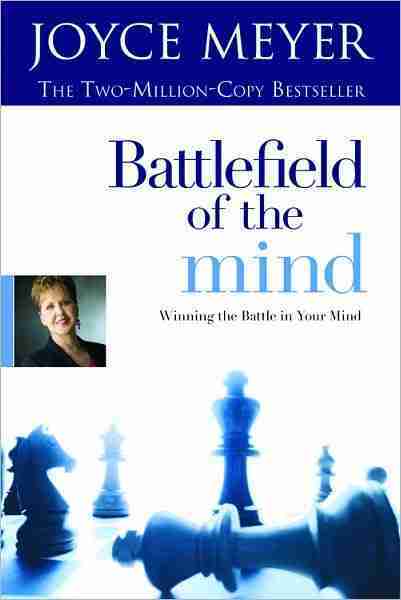 “Battlefield of the mind” is the book to read! 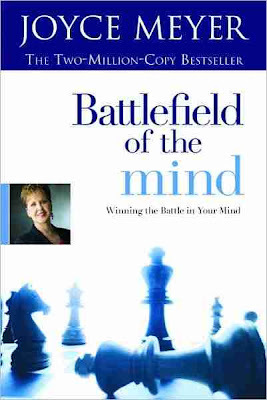 For the mean time, below is a Daily Devotion by Joyce Meyer. Take a minute and read it. Have a lovely day and God bless you. Keep your head up where ever you’re reading from. Let’s make the decision to wait upon the Lord and live life abundantly just like God wanted for us. Discouragement destroys hope, so naturally the devil always tries to discourage you. Without hope you give up, which is what Satan wants you to do. The Bible repeatedly tells you not to be discouraged or dismayed. God knows you will not come through to victory if you get discouraged—He wants you to be encouraged, not discouraged. When discouragement or condemnation tries to overtake you, ask the Lord for strength and courage. Tomorrow is a new day. God loves you and His mercy is new every morning. Say, “I refuse to be discouraged. Father, the Bible says You love me. You sent Jesus to die for me. I’ll be fine—tomorrow will be a great day.” Hope in Him! Lemme know what your thoughts are or if this word gave you some hope. Thanks for your time and all comments are welcomed.